Electronics giant Philips will be integrating Dolby vision HDR to its new TVs as well as its UHD Blu-ray players at this year’s CES 2017 in Las Vegas. Philips has perceived that the current new standard of video content has gone well beyond 4K UHD and has reached High Dynamic Range and Dolby Vision. 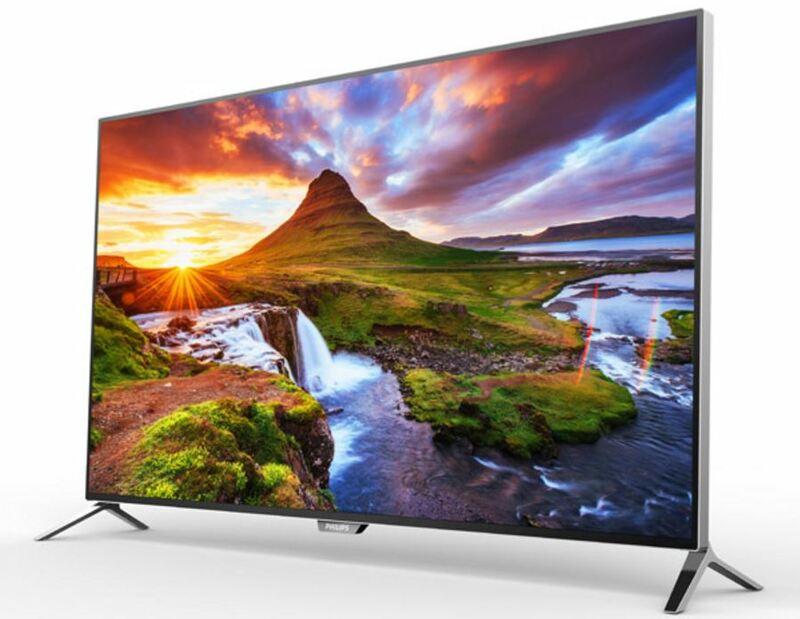 Philips USA and Dolby announced on Thursday that their 6000, 7000 and 8000 series televisions, along with their new Blu-ray player will support the latest in HDR and 4K content including Dolby Vision. This will be the first Blu-ray Player to offer this feature. Here’s a little more about each of the products. This is the cream of the crop for the Philips line-up, with the best picture and sound quality, coupled with HDR10 and Dolby Vision, offering the widest colour gamut, producing 75 percent of the BT.2020 colour space. This range offers Philips’ special BrightPro technology which brightens areas of the picture twice as much as normal LED TVs. It’ll come with buttery smooth 240 Perfect Motion Rate for those super-fast action scenes or slo-mo videos, 4K upscaling of HD and standard definition content, as well as dual-band Wi-Fi with MIMO antennas. It’s got a built-in Chromecast as well as the general smart TV options available. These TVs will be available in the Fall of 2017 and will be available in three separate sizes. The 65-inch will retail for $1,700, the 55-incher will retail for $1,200 and the 49-inch TV will be priced at $1,000. They’re good devices for consideration for buyers looking for the latest thing in the market at that price point. The 6000-series range makes more sense to buy because it has most of the features of the rest of the TVs at the most affordable price. It’s got the HDR, BrightPro, and Dolby Vision all in place. The colour gamut is just a little lower and will feature 120 Perfect Motion Rate instead, but those are pretty negligible facts. This range also comes with quite a few sizes right from 43 inches to 86 inches – from $650 to $7000. The smaller models will be available in Spring while the rest will be made available in summer. The 7000 series is just a little different than the 6000, being that it’ll come with a 240 Perfect Motion Rate, and comes in just one size – 98 inches. It’ll retail for $20,000 and will be available in the summer of 2017. Now the 5000 series is for the budget oriented. It’s got smart TV, 4K and HDR, with the same other features of the 6000 series. It’ll be available in April in four sizes from 43-inches to 65-inches and will cost between $530 to $1,200. The 4000 series is very cut-down range, and won’t feature 4K or HDR. It’s the most different from the rest of the series and will feature the Philips NetTV platform like the others, with apps consisting of Netflix, YouTube, Vudu and Pandora. There will be four flavours – 32” and 43” models will retail for $220 and $370 and will be launched in April, while the 40” and 50” ones will be priced at $330 and $450 and will be released this month. Both of these are the successors to the original BDP7501 which Philips had released some time ago. This time around, the 7502 will support HDR10 and Dolby Vision – the first BR Players to do so. It has a built-in HVEC and VP9 decoders for Netflix and YouTube streaming. It can also upscale HD content to UHD. It’ll also support Dolby Audio and DTS-HD Master Audio along with an HDMI 1.4a audio output as well as2.0a output for older A/V receivers. The 5502 is the more affordable option without the HDR10 and Dolby Vision support though. The former is priced at $300 and the latter at $250. There’s another even cheaper offering – the 3502, which is an upscaling BR-Player and is priced at a cool $100. They’ll all be releasing in the Spring of 2017.